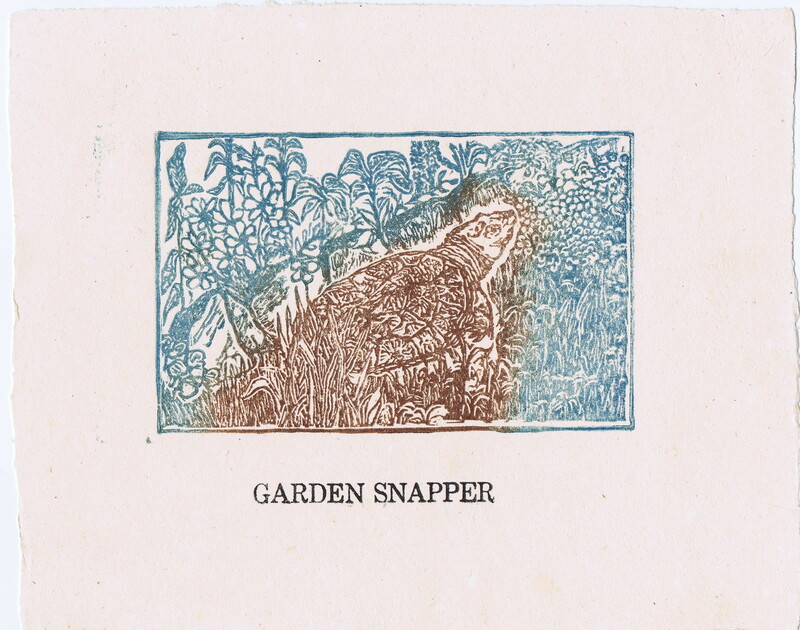 Snapper cards and prints available below. 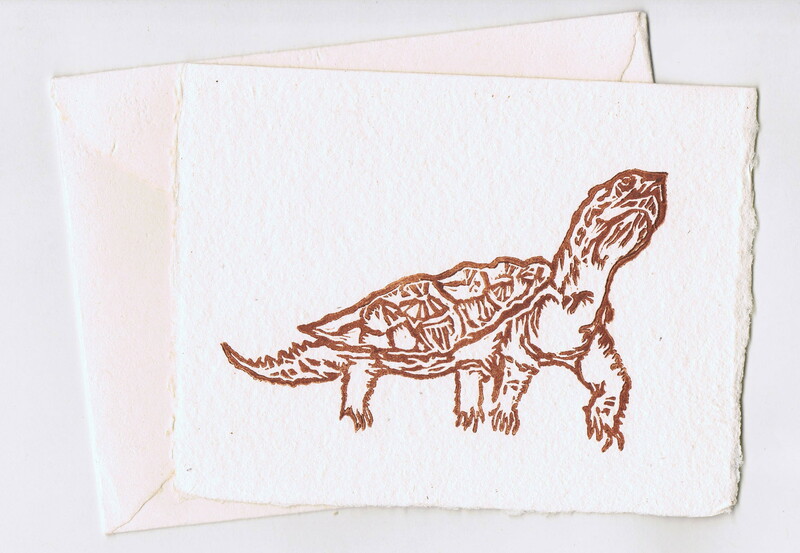 Linoleum print on hand-laid paper with deckle envelope. $4.00 @. 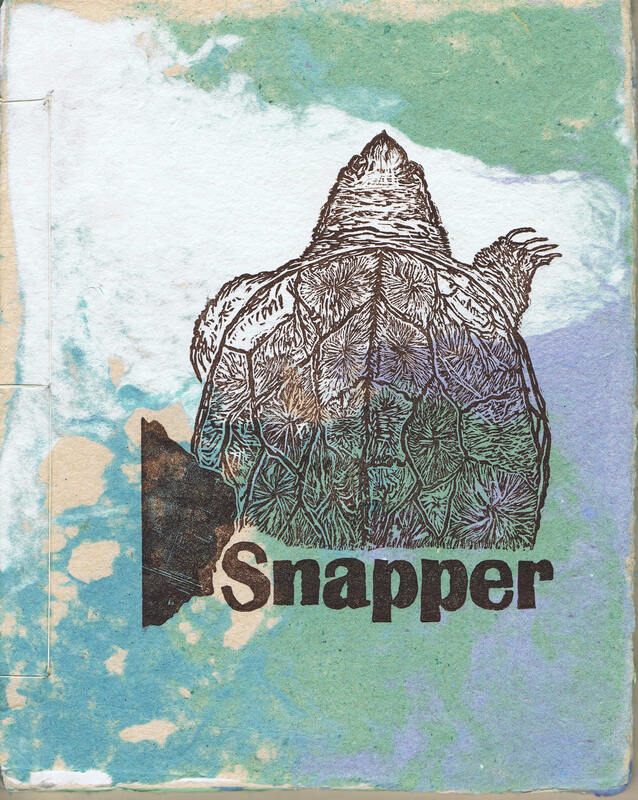 Snapper is an essay on snapping turtles in captivity, expressed in words and images. It is also the culmination of twenty five years of book arts and alternative publishing. The ten linoleum block prints are executed on handlaid recycled paper made with an English laid mould and comprising six different pulps. With just under a thousand words of text set in 18 point Palatino and 24 point Schoolbook, letterpress printed on twelve sheets of handlaid paper, and Japanese side-bound with linen thread, the chapbook itself becomes a work of art that serves to complement its content. 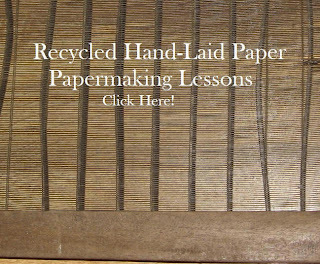 You continue to amaze with your lovely papermaking projects. Snapper is a highly personal but still widely educational chapbook. It’s a beautiful thing, a great cover, a wonderful text, and handsome throughout. It reminds me, in its straightforwardness, of the recently published Wild Fruits of Henry David Thoreau. This entry was posted in Publications and tagged John Dancy-Jones. Bookmark the permalink.